In the face of widespread media reports and commentary condemning the military and police responses to the violence unleashed on innocent citizens last week by some local and international bodies that claim to serve "human rights", one story that has remained untold or conveniently ignored is the great restraint shown by the security forces in the face of extreme provocation and threat to life. This saved hundreds of lives. Zimbabwe Republic Police officers, like any police officers in any part of the world, are trained to maintain law and order, a feat they have managed to achieve within and without the borders of Zimbabwe. Police stations were attacked by the MDC Alliance-mobilised gangs and one police officer was stoned to death in Bulawayo while more than 30 were injured across the country. 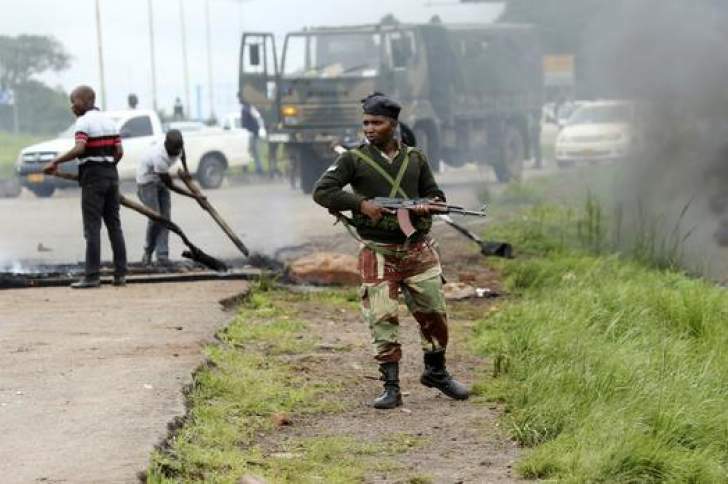 The police officers at such stations as Chitungwiza, Marondera and Bulawayo could have stood their ground and used hard power to repel the deliberate attacks which could have resulted in hundreds being killed and injured. However, the police officers quickly appreciated that the intention was to force them to overreact and therefore did not open fire on the gangs that attacked and overran the police stations. In the face of such provocation and open attack of law enforcement officers and stations, it is inconceivable to imagine that such action would not have resulted in the police forces failing to open fire, if it were in the United States of America and many countries in the world. The world has been shocked to see reports of police officers killing innocent black children for playing with a toy gun and unarmed innocent black citizens. However, what is most shocking is the deafening silence from the self-righteous international bodies on "human rights". The question, which we all know the answer to, is that if innocent and unarmed people are killed at such alarming rates, how would such forces react when attacked by armed gangs? Coming back to the commentary from the local and international bodies claiming to be concerned with "human rights", it is a matter of public record that this has become a political weapon of choice for these organisations at the instigation of powerful states. If one goes by the media reports from the privately owned media and the commentary from discredited politicians and these organisations, the people who killed an innocent policeman, stormed police stations, barricaded roads, destroyed and looted property are the victims while the law enforcement officers are the villains. Are these the victims of the violence and the heroes we should celebrate as a nation? History is replete with examples of such approaches where the media frames run contrary to the reality and it has proven beyond doubt that the people are not gullible. When liberation fighters were labelled terrorists, the people knew better and identified with their true heroes. The people of Zimbabwe know the people who barricaded roads, chased away their children from schools and left them stranded as their parents could not commute to come and pick them up and those people who destroyed the shops where they used to buy their daily needs. These people are not heroes, these people are not victims and this is why people are reporting these culprits to the police resulting in recovery of stolen property and arrests by the security forces.